He died in 1898, but that doesn’t stop Baron Otto von Bismark from wanting to scam you from beyond the grave. 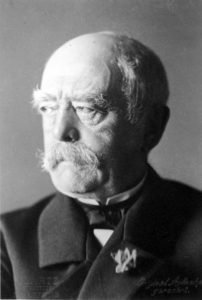 Sure, he’s calling himself Diplomat Otto Bismark, but that can’t fool me: We know he’s the First Chancellor of the German Empire, seeking his revenge. Amusing though this email is, it is a scam. After all, why would a United Nations official be sending email from the lee.org domain, and want you to write him at a free address hosted by a German mail service? And you’d think the wily Baron would know if this was an inheritance or lottery winnings, right? Don’t reply to messages like this – delete them. 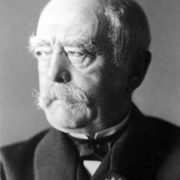 I am Otto Bismark a foreign Diplomat attach to the United Nations Foundation. I am instructed to deliver an International Bank Cheque value USD$11.5 Million United State Dollars to you. This money was coming from Africa/Europe to you as your Contract/Inheritance/Lotto fund that was seize some time ago. After verification, it was discovered that the money was not for any form of Terrorist sponsor. I have sent you email for the past two days but no response. I have deposited the International Bank Cheque value USD$11.5 Million with a Clearing House .Do contact them with the information below with SUBJECT MY International Bank Cheque.